Your house should not feel like a sauna in one room and an arctic tundra in another. Temperatures should be relatively consistent between areas. If you feel like there are some rooms you just can’t use on hot days because the temperature soars too high, use these tips to maintain a steady, comfortable temperature throughout your abode. Each room in your house should have an air vent that pushes out the heated or cooled air. In some cases, these vents can be blocked by furniture or other items. Make sure each vent is clear so that the treated air can fully circulate. Dirt and other debris can also block the vents, so give them a good wipe down at the start of every season. You’ll also want to make sure that the damper on each vent is open. While it sounds silly, you might have accidentally knocked it closed at some point, preventing cooled or heated air from properly entering the room. You might not realize it, but the air filter in your HVAC system plays a huge role in how it functions. With a dirty air filter, treated air has trouble making it through to the vents, meaning rooms far away from the central unit might only see a trickle of coolness. Most air filters are meant to last only a few months, so you should change them at least four times a year. Write down the date you change them on your calendar so you don’t forget. Better yet, change them at the start of each season so you remain on a consistent schedule. If your house is older, your windows might not be the most efficient. Unless they have special UV resistant glass, they can let in sunlight that makes the temperature rise. 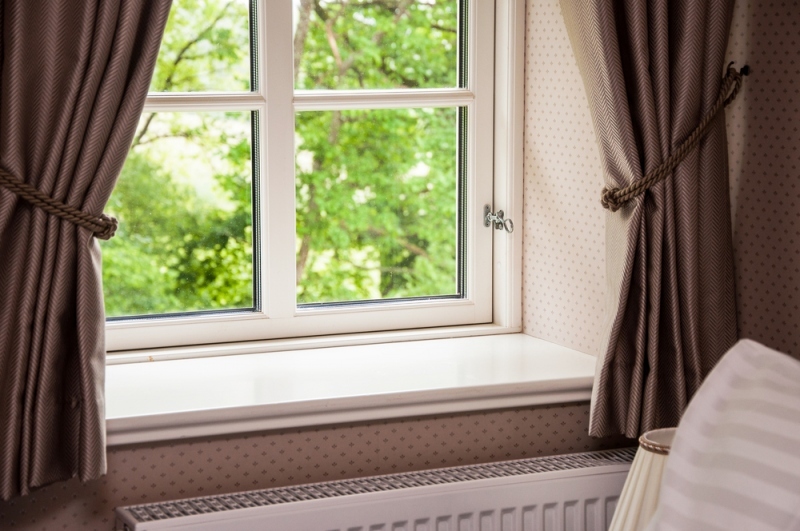 Replacing your single-pane windows with dual-pane ones is one option, but for those on a budget, it’s not very feasible. Instead, invest in external shades or heavy curtains to keep sunlight from streaming into rooms with a lot of windows. This can lower the heat flowing into your room by as much as 75 percent, allowing your AC system to better do its job without overworking. When your home isn’t being uniformly cooled, and you’ve tried all these other tricks, that suggests there is something wrong with your HVAC system. Rather than tinkering with the mechanics on your own, call a professional to perform a routine inspection. They’ll be able to check over your equipment and find any issues right away. In some cases, your HVAC system just might be reaching the end of its lifespan. In this case, consider upgrading to a ductless system, as this can eliminate air leaks for maximum cooling efficiency. This should end your inconsistent temperature problem for good while also saving you big on your utility bill. There’s no reason to keep toiling in rooms the temperature of Death Valley. Take these steps today to make your home a comfortable oasis you can enjoy during the hot summer months.